Can an end-user create a Mars document? Anyone over the age of 18, or minors with parental permission, can create a Mars document. In celebration of todays release of the Flash Player 9 for Linux beta, i finally updated the demo of FC64, our C64 emulator for Flash Player 9. 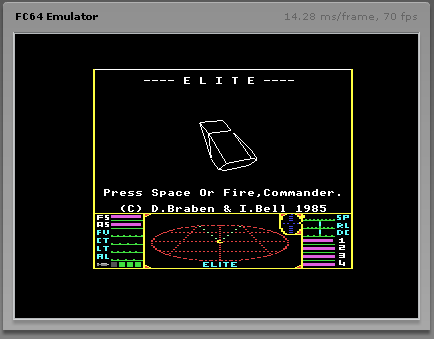 Some time ago i implemented support for sprites and the lo-res bitmap mode, so quite some more games work on FC64 now, including Elite (see screenshot below – i added it to the demo), Fort Apocalypse, Frogger, Donkey Kong, and a whole bunch of others. Also, Voidrunner renders properly now, including the sprites in its intro.